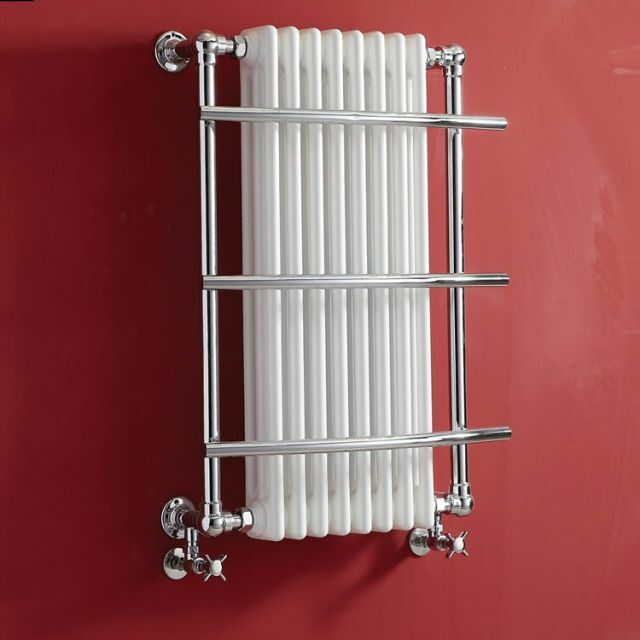 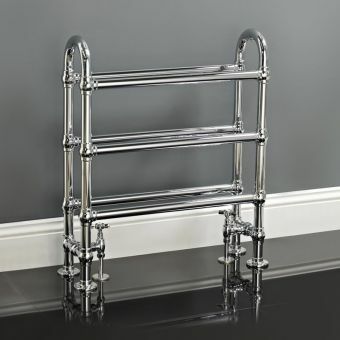 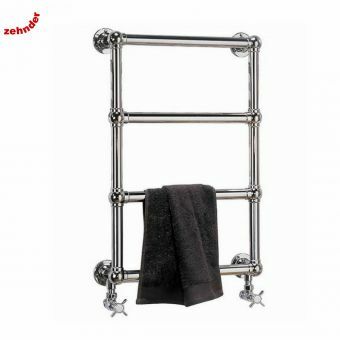 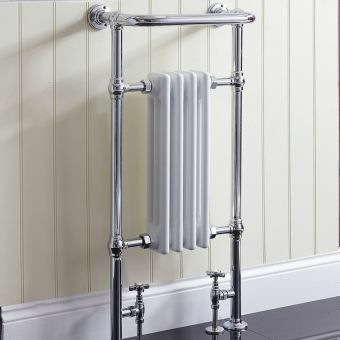 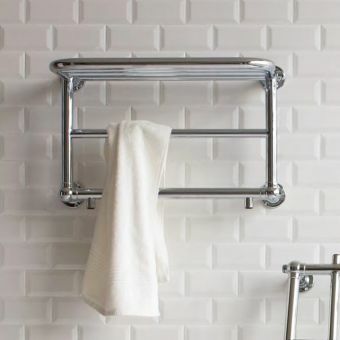 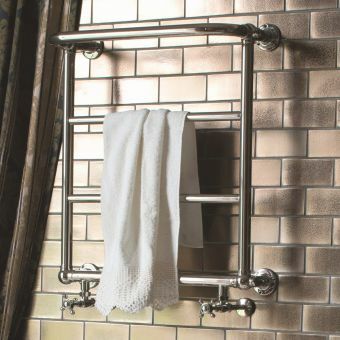 A highly practical and stylish combination of towel rail and radiator, this stylish piece utilises a wall-mounted, space saving design for maximum effect. 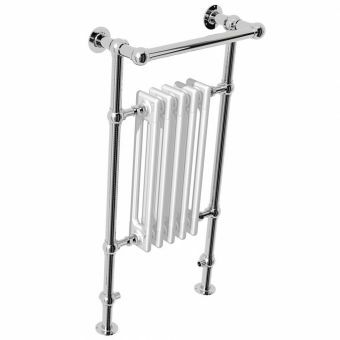 The Helena is a fetching mix of modern white and chrome, with hints of traditional styles to be found within its more delicate construction. 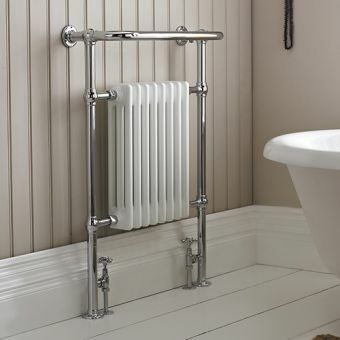 With a powerful output of 1135 Watts, it is more than capable of quickly warming the bathroom or en-suite. 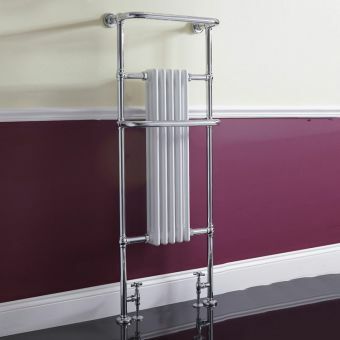 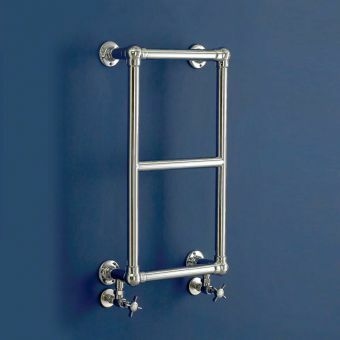 Three separate towel rails give plenty of scope to dry off or warm multiple towels simultaneously, giving easy access to that satisfying luxury of a post-bath or shower hot towel. 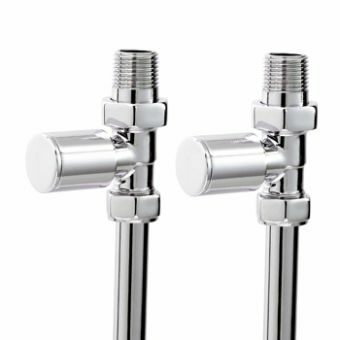 Matching wall valves give accessible control over the unit, while providing a fine finishing detail. A ten year manufacturer's guarantee gives peace of mind that this is a robust and durable piece from Phoenix.